Your Holy Family Ministries was founded in October 2013 by Allen and Denae Hebert in response to the call of St. John Paul II in Familiaris Consortio (#54) for families to evangelize the world. We have nine children and just by our presence at various events in our community, people come up and tell us how beautiful our family is and ask us what our secret is. In the past, we would simply reply, “By the grace of God”. While this statement is true, we felt that we needed to provide more practical advice to help other families enjoy the same gift we have been given. This ministry is our attempt to “be ready to give an explanation to anyone who asks you for a reason for your hope” (1 Peter 3:15) and to not only provide other families some practical advice on how to live out holiness within their families, but to equip them to spread this good news too. The world is filled with division and discord, not only within the family, but in what used to be civil discourse. The disagreements on the nature of marriage and family life are often characterized by demonizing the other side. We believe that God’s plan for family life is beautiful, and it is our job to focus on our own families and bring them to holiness, when we do this well, people will notice and will want what we have for their own families. The other competing views of what a family is are deficient in so much as they depart from God’s perfect plan. The mission of the family is to guard, revel and communicate love (FC 17), if we achieve this goal, even 50% of this goal, we will be a light so bright that everyone we encounter will be drawn to the light of Christ that illuminates our family life. Your Holy Family Ministries is a 501(c)(3) corporation. Originally from Toledo, Ohio, Father Nathan Cromly has been a Brother with the Community of St. John for 12 years. Working in fields as varied as youth ministry and book publishing, Father Nathan serves as Prior of the brothers of St. John in Laredo, Texas. While he was in formation, Father studied in France for five years, and traveled extensively in Europe and North America, preaching and teaching. He is the founder and director of Eagle Eye Ministries. 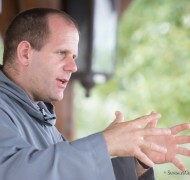 He works extensively to promote Marian consecration through video, the web, and written publications. Father has hosted radio series through RadioMaria, has been a guest on EWTN’s Life on the Rock, Focus TV, and is a member of the Apostolate for Family Consecration’s teaching faculty. He is currently pursuing a Masters in Biblical Studies from John Paul the Great Catholic University. Jacci and David DiCarlo have been married for 10 years. Both were widowed at a fairly young age and met over discussions of their similar experiences of grief. They have six children (four boys and two girls) and four grandchildren. David is originally from upstate New York. Formally schooled in material science (ceramics in particular), he now works as an electrical engineer at a large semiconductor company. Jacci was born and raised in Michigan. 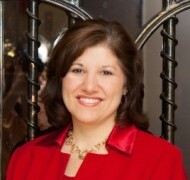 She earned her bachelor’s degree in accounting at the age of 38. She was a working mother until she married David, when she transitioned into full-time home schooling motherhood. Jacci and David have been involved at the parish and diocesan level with the teen youth. They serve on the planning committee for the annual Diocese of Austin high school youth conference in Waco, DCYC. In addition to working with the youth, they have also served by helping build stage sets, and producing audio, video and still photograph projects for a variety of charitable causes. Debra Haney has been married for 22 years to her wonderfully supportive husband Jason, and she has two awesome children; Hannah is twelve and Nicholas is eight. She is currently the Principal at St. Laurence Catholic School in Sugar Land, Texas, and Mrs. Haney has served in the Archdiocese of Galveston-Houston for 21 years as a teacher and administrator. She also has served in the DECATS (DeBusk Enrichment Center for Academically Talented Scholars) program for 19 years, just completing her 14th year as a director in the program. She has served on a number of professional committees, has mentored many other teachers and administrators, and she belongs to many professional organizations. In addition, Mrs. Haney has piloted several successful initiatives for her schools, including a family retreat for school families, an innovative program for special education students, as well as initiatives related to the integration of technology and inclusion into the classroom. Outside of family and work, she enjoys serving her faith community, traveling, reading, swimming, spending time with friends, scrapbooking, watching movies, and playing cards. 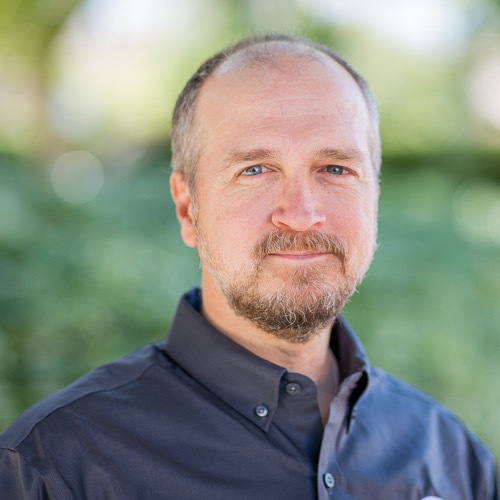 Allen Hebert is an Information Technology professional who has worked as a Sales Engineer for the past 15 years at various companies. He has been married to his Wife Denae for almost 27 years and they have been blessed with nine children. In his spare time he volunteers his time and talent in varying capacities within the Catholic Church. He attended Catholic Schools from Kindergarten through College, and was a member of the Capital Campaign committee and led the technology committee at Holy Family Catholic School in Austin, TX. He was a member of the Speakers Bureau for the Office of Pro-life Activities in the Diocese of Austin, a member of the Adult Faith Formation core team and frequent presenter and Master of Ceremonies in both RCIA and the Jesus is Lord adult faith formation programs at St. William Catholic Church in Round Rock, TX and a former board member of the Central Texas Fellowship of Catholic Men and the Alexander House Apostolate. In 2013, Allen and his wife Denae founded Your Holy Family Ministries. Allen is currently enrolled in Franciscan University of Steubenville’s Distance Learning Masters of Theology program. Denae Hebert is a homeschooling mother of 9. She has been married to her husband Allen for 26 years. Denae is an educator by trade and holds a Masters in Educational Administration. 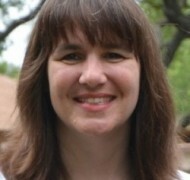 She served on the Development Board for Holy Family Catholic School in Austin, TX, and is currently on the Board of FISCHETeen, (Families in Support of Catholic Homeschool Education Teen Program) She developed and coordinates monthly retreats for FISCHETeen since 2010. Denae has also been planning and coordinating Family Retreats with the Community of St. John since 2012. Denae is currently on the board of Eagle Eye Ministries and she and her husband Allen are the co-founders of Your Holy Family Ministries. 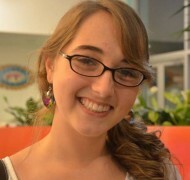 Ellen Hebert is a young adult who has a passion for serving the Lord. She is currently pursuing a degree in Nursing at the University of Incarnate Word in San Antonio. She served as a member of the choir and the Pastoral Council at St. William Catholic Church in Round Rock, TX. She served as a member of the Service Corp at the Apostolate for Family Consecration’s Catholic Family Land in Ohio and has served on the young adult retreat teams for Your Holy Family’s Retreats for Families. Allen and Denae Hebert have been married for over 23 years and have been blessed with nine children. They founded Your Holy Family in October of 2013. 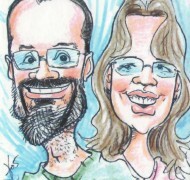 For more information about Allen and Denae and their family, please visit their blog at www.go-bless.com. The Community of St. John has been an integral part in the formation of Your Holy Family Ministries. They have been providing spiritual leadership and guidance for the past nine years at the Annual Family Retreat in Buda, TX. More information about the Brothers of St. John can be found at their US website.